All you have to do is sign up for early access and you will get a free 14 day trial for Marketeer! Two years ago I could get away with posting anything on my business page or in my group and it would be almost guaranteed to reach my audience. Now, my group engagement has decreased dramatically. Because there is a lot more content being posted on Facebook now. Suddenly, the hours and hours spent taking pictures of new inventory and uploading them for each and every sale was no longer worth it to me. I realized that as long as a social media platform stands between me and my customers, I’ll continue losing touch with them and my sales with suffer. I really had to think - which selling activities contribute the highest return on investment (ROI) for the business? Using SMS marketing and email strategies, I discovered that I could start to drive customers to my sales and increase revenue. Let’s say you go Live on Facebook. Many of the people viewing the sale might be from your Facebook Group, Page, or a random passerby. Because of the algorithm changes, only the most active people on your Page and Group will get notifications from Facebook when you are live. This leaves out the majority of people who would probably want to view your broadcast. What if you were able to capture their contact information and be able to reach them with an alert the next time you go live? Instead of you being lost in the noise of Facebook on their newsfeed, they get a text message or email from you. Suddenly you’re no longer competing for their attention on Facebook, but can establish a more personal connection with them. You now have a much higher likelihood of bringing that customer back to your next sales, wherever they might be. Your return on investment for your sales is going to be sky high compared to what it was before you were using text and email marketing. Hold up! It’s not that easy. One problem that sellers run into is being able to get subscribers to their text and email lists. Many people don’t always want to receive a text message or email which can be a problem. With Marketeer, we solve this problem by offering customers an incentive to join our text and email lists. 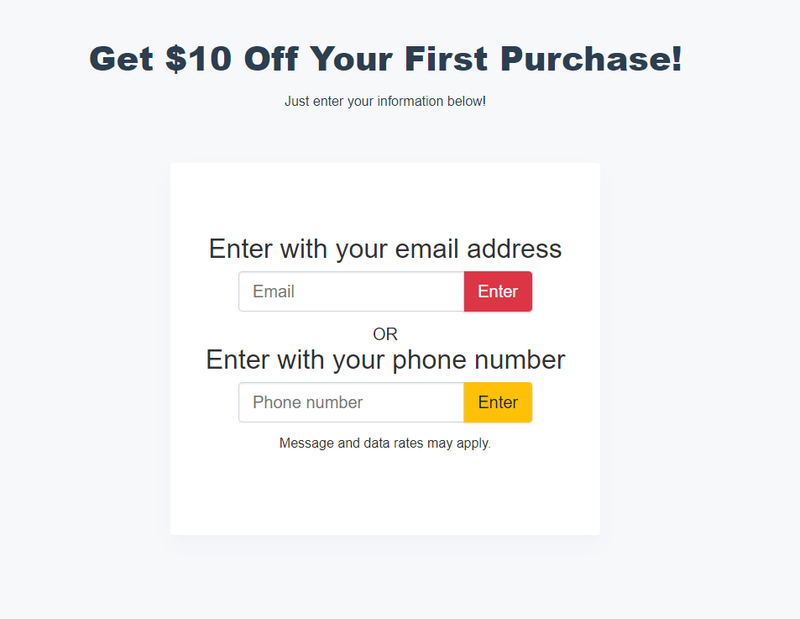 Your customers will see a page where they can enter their information to receive a special offer from you. Now, you’re much more likely to grab the numbers and emails from those people who were previously on the fence about it. This alone increased our subscribers by 88% in the first 30 days of using it. By getting more email and text subscribers, you can then reach out to them with new sale announcements, live sales, and special offers anytime, anywhere. You’re able to do this over and over again unless they decide to unsubscribe in the future. A big benefit of messaging customers is that customer service tends to improve. If I have a customer service issue, often times I’ll just respond to the last message I received from the business instead of posting on their Page or in their Group. Using text messaging and email gives customers a way to email or text you back if they have any issues with a product or general feedback about their experience. Make the most out of your next giveaway. You launch the giveaway and post it in your group. Not enough people saw your giveaway or signed up. 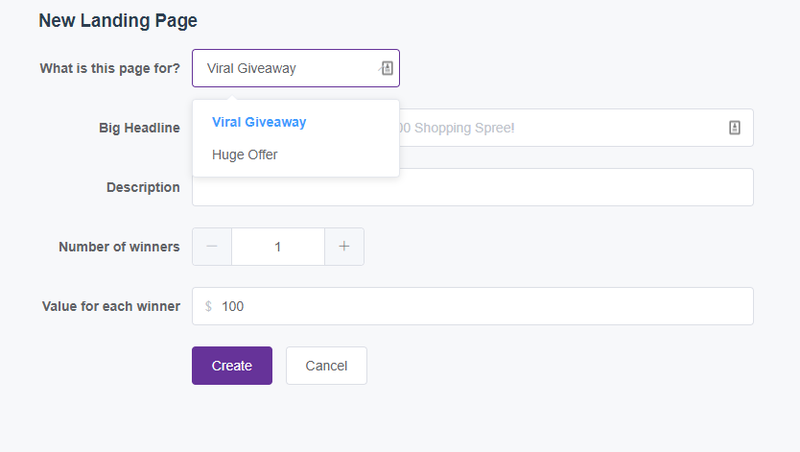 With Shoppe Marketeer, you can increase your giveaway sign ups by incentivizing customers to share the contest with their friends to increase their chances of winning. They are rewarded with more entries into the giveaway after sharing the contest. A single giveaway could bring you hundreds of customer leads for just the cost of the giveaway prize! Creating new giveaways inside of Marketeer is a breeze. Just fill out a few fields, upload a photo, and boom! You’re in business. Marketeer by Shoppe makes the process of collecting text and email subscribers really simple by allowing you to share a link with customers that allows them to subscribe. AND it allows you to consolidate your email, text, and inventory management software into one, simple solution. But in order to effectively use any system, you will need to stay consistent with it. If you consistently work to grow your subscriber lists, you will achieve a higher return on your investment. If I look back at my business, I notice that my best results came from being persistent, patient, and consistent. Marketeer allows you to get more subscribers, send them messages, and increase your sales as a result. Combine consistent, focused effort on building your subscriber lists with a system that makes it easy, and you have formula for success! Right now, the code monkeys are hard at work making this the best system possible. BUT, we do have openings for a few early access customers to try it for free. If you are a business owner who currently sends text messages and/or emails to customers, or you are interested in starting to collect subscribers and send messages to customers, you might qualify for early access.